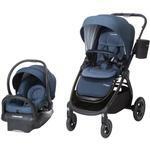 Families love the Adorra™ Travel System featuring the Mico Max 30 infant car seat! It has the supreme comfort you want to provide your child and all the features you’ve come to expect from a premium Maxi-Cosi product. The included infant car seat lets you give your baby a first class ride both on the stroller and in the car and features maximum comfort, safety, and style from 4-30 pounds. 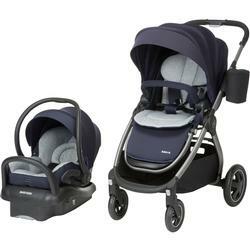 You can also stroll with your newborn in carriage mode, featuring a full recline and a secure enclosed space to keep baby comfy. 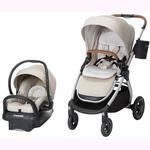 As they grow, the stroller itself can be used in either parent or forward-facing positions. 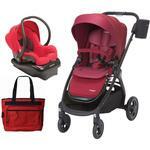 Both the stroller and car seat are super easy to clean with machine washable and dryer safe fabrics.